← My Versatile Blogger Award! Hunk alert! 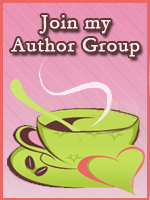 Today I’m blogging at the fabulous group blog, Fierce Romance, where a bunch of my friends hang out. Come on over and see the photos that inspired the four hunks in my recent release, Bittersweet Obsessions. Join in on the comments there and be entered to win! This entry was posted in Annie Rayburn, Books, Free Stuff, Promo and tagged Bittersweet Obsessions, blogging, Fierce Romance, hunks, photos, Promo. Bookmark the permalink.